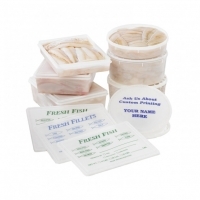 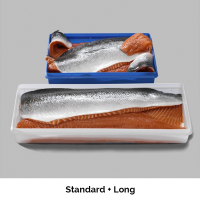 Fillet Containers Our sought-after stacking and nesting fillet containers set the standard for high quality construction. 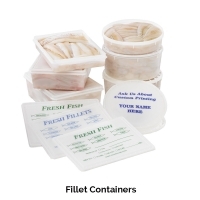 These rugged containers provide maximum protection for fillets without the issues such as gaping, breaking, and distortion common to bagged fillets. 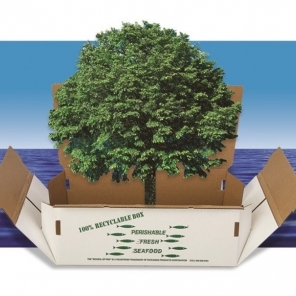 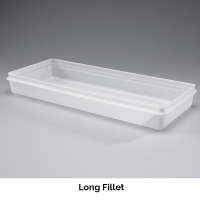 We have also innovated a long container design to maintain the integrity of longer fillet products such as salmon, sea bass, and Mahi Mahi when shipped or displayed – no more folding in half. 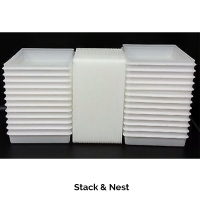 All are built to stack securely and to contribute to the strength of the master shipper they're placed in. 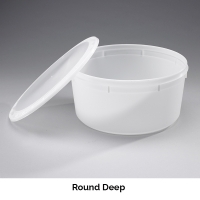 Our lids are designed to fit snug but not airtight and to resist hydraulic surging. 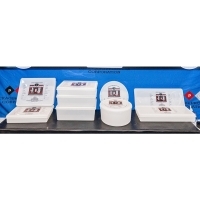 Melting ice drains off to the side and not into the container below. 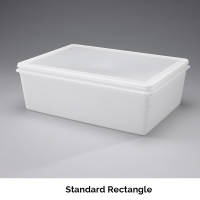 Never miss a branding opportunity with our economical custom printed lids that are often washed and reused for years after delivery. 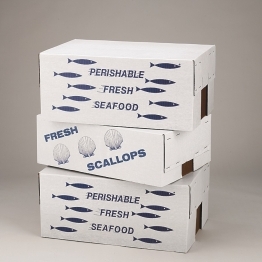 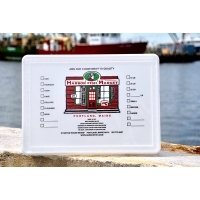 We also offer tough master shipping containers for all our fillet containers in either wax saturated boxes or our trademark Arctic Box® insulated shippers.